The JCC Therapeutic Nursery is a nationally recognized program for bright preschool children with a variety of developmental challenges, including communication and learning disorders, ADHD, emotional and behavior problems, and high functioning autism. We are a developmental, language-based, parent-child program that addresses the social, emotional, behavioral, language and cognitive development of each child. Our staff is comprised of a well-trained interdisciplinary team including speech and language therapists, special education teachers, occupational therapists, school social workers and neuropsychologists. The Therapeutic Nursery model was created in 1978 by Doris A. Allen, EdD at the Albert Einstein College of Medicine in the Bronx, and was brought to the Kaplen JCC on the Palisades in 1995. We believe that our students make dramatic long-term gains because the parents are included as collaborating partners in their child’s treatment. Parents (or other caretakers) attend school daily, and participate in weekly parent counseling, parent support groups and daily interactions with the nursery staff. Parents use what they learn in the nursery to help their children at home and in the community. We address the children’s emotional lives along with other aspects of their development. We help them understand and express their feelings. We also help the parents develop new ways of empathizing and communicating with their children. 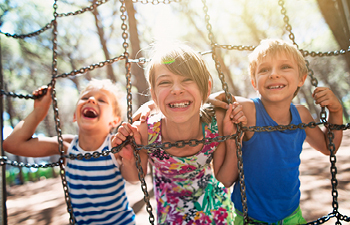 As the children learn to replace inappropriate or out of control behaviors with appropriate ones, self-confidence is enhanced and learning becomes possible. When parents are helped to use these principles at home, the children’s capacity to develop expands still further. 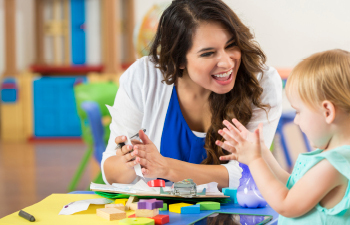 A Language-Based Classroom In addition to providing individual and small group “pullout” therapy, our speech-language therapists work in the classroom along with our special education teachers, to create a completely language-based curriculum. The curriculum focuses primarily on social skills and emotional and behavioral regulation. 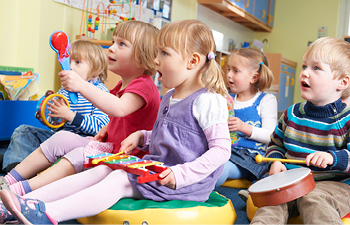 The children who come to the nursery are intelligent, however they have difficulty with communication, socialization and emotional and behavioral regulation, which prevents them from succeeding in mainstream environments. Our curriculum is unique because it focuses on these core issues, and teaches these critical skills directly. We use a comprehensive social skills curriculum based on Michelle Dunn’s S.O.S: Social Skills in our Schools (2005). Through puppet and role play, pictures, scripts and stories, the children are taught directly how to play, interact socially and modulate their emotions and behaviors. Graphic organizers are used to help the children verbally interact with others. Parents practice these lessons at home with their children, to insure that these new skills and behaviors are internalized and generalized to all settings. We provide a highly stimulating academic curriculum, including lessons in science, social studies, geography, music and yoga. By consistently stimulating the students’ intelligence and curiosity, we not only increase their knowledge of the world, but we also harness their intellectual strengths to overcome the difficulties they may have in focusing, attending, listening, taking turns and making transitions. In this way we prepare them to succeed in a kindergarten setting. Occupational Therapy Curriculum Occupational therapists help the children process sensory information which increases their ability to selfregulate. In addition, the therapists work to develop gross and fine motor skills, motor planning and visual motor skills, as well as self-help skills. 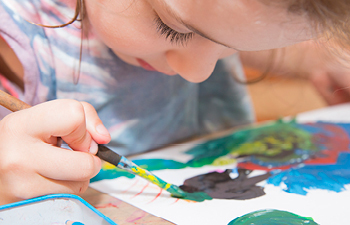 The nursery students are encouraged to join classes at the Leonard & Syril Rubin Nursery School, the Neil Klatskin Day Camp, or other JCC programs for typically developing peers, in conjunction with the Therapeutic Nursery. Our staff works closely with the mainstream staff to insure maximum success for our students. The primary goal of the Therapeutic Nursery is to help each child reach his or her best potential, providing a foundation for future success. 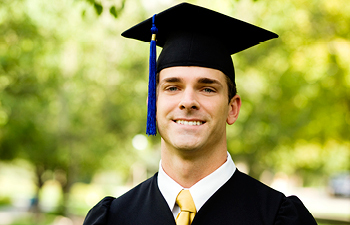 Many of our students enter a mainstream setting after they graduate. Follow–up with alumni has shown that some go on to college, graduate school and professional careers, and many achieve happy and productive lives. Children ages 3-6 years meet Monday-Friday, five half-days each week. Both a 10 month program and a 4 week summer program are available. Class size is limited to ten students. 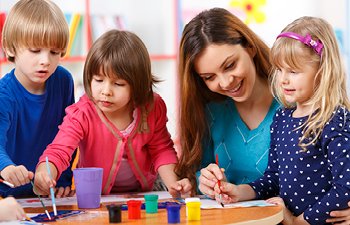 The Therapeutic Nursery is a non-sectarian, New Jersey state licensed special education preschool program. It is a receiving school for public school districts. Referrals to the Therapeutic Nursery come from physicians, psychologists, speech and language therapists, occupational therapists, nursery schools, early intervention programs or child study teams. Parents may also contact us directly. Membership is NOT required for this program. Students may be accepted into the program anytime during the school year with the Director’s approval. The JCC makes every effort to ensure that children are not denied enrollment in the Therapeutic Nursery due to the inability of the family to pay full tuition. Scholarships are available. Please contact the Therapeutic Nursery at 201.408.1497 for an application.